The collector serves as a link between end users and the Ecopilas Foundation to bring to the public the importance of selective collection of used batteries. 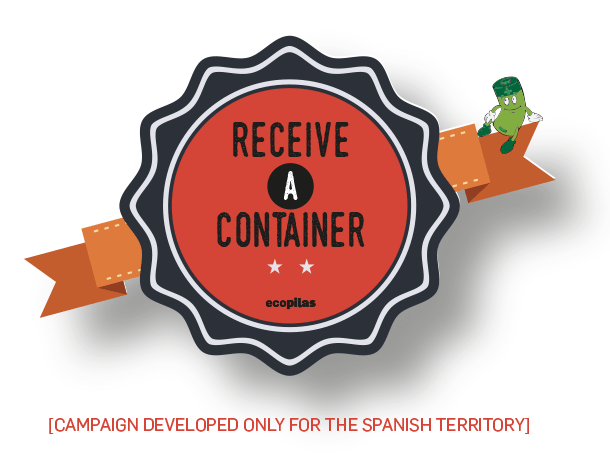 Currently, we have more than 38,000 containers distributed throughout different collection points in Spain, which make it possible to carry out our mission of collection and recycling of batteries. In addition, with our friends “Mas Menos” (Plus Minus), domestic collectors that are distributed among consumers and households, through fairs, congresses and even inserted in newspapers and magazines, we facilitate the accumulation of batteries in the home and their transport to the nearest collection points. We also adapt to the needs of the professional-industrial sector. With a simple gesture, depositing the batteries in a container, we can all together achieve important benefits for the environment. Ask us for a collector and we will send it to your home free of charge. Containers in commercial establishments, public centres, offices, etc. Intended for specific operations with button cell batteries collection. Designed for the joint collection of batteries, small household appliances, energy-saving light bulbs and fluorescent lamps in shopping centres. If you are the director or head of studies of a centre and you are committed to recycling, ask us for a container and we will send it to you free of charge. Designed for the collection of portable batteries at clean points, professional-industrial points (technical services, installers, security companies, etc. ), or high generation of waste. Intended for points of high generation of lead batteries and specific operative.